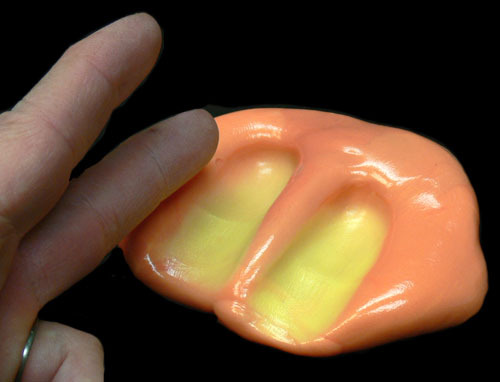 Our heat sensitive Thermal Putty is fascinating to play with. The heat from your hands - or rolling small amounts of it into a ball or rod will turn the orange putty into a bright yellow color. Absolutely hypnotic and irresistible!. Aside from just having fun, it's great for science experiments as well as a sensitive heat indicator. Endless fun. Never dries out. Putty is Non-Toxic, CPSIA compliant, safe for children, and Made in the USA.